There are no photos with those IDs or post 15783 does not have any attached images! Eight shows, three films and more from 40 workshops make up the Vamos program! of Labor City of Culture of Gijón for the months of January, February and March. 'Covaletti's Journey' of Hygienic Paper Theater el18 of January, a journey full of adventures and discoveries through the readings of the employee of a gas station. Turpin and Mustache, two pirates out of the ordinary, will sail in search of the lost treasure of Barbarroja in 'Piripirata' of Factoría Norte on January's 24. The kingdom of Shambilandia, with fairies, witches and amusing animals, will be the setting in which 'The magic wand' will be developed, by Arena Teatro, the 1 of February. Tales of fears and adventures will be the proposal of Kamante Teatro with 'Sowing stories' on 8 in February. 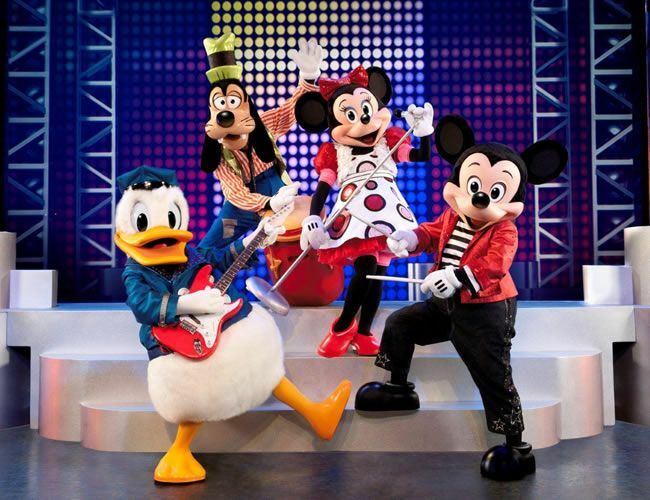 Four features of Disney Live! Mickey's Music Festival, to be held on 13, 14 and 15 days in February, a musical trip with the best known songs of La Sirenita, Aladdin and Toy Story. Humor and love will come together in "A las 6 at the corner of the boulevard" of Konjuro Teatro on March's 8. Songs, games and stories in English will be the option of 'A Funny Scary Concert' by Scalofrini for the March 15. The company La Güasa will offer in "Mobil es" a circus-theater show, full of rhythm and juggling, the March 22. · 'Futbolín', by Juan José Campanella 25 in January. · 'Hotel Transylvania', by Genndy Tartakovsky 1 in March, which will be screened in the original English version subtitled in Spanish. · 'Ponyo on the cliff', by the Japanese Hayao Miyazaki (March 29). There will be 46 workshops and two reading clubs, an opportunity for the little ones to become artisans and protagonists of activities linked to the performing arts, science, literature or nature. A drink for families with children from 0 to 3 years, two Clubs! of Reading to immerse yourself in the world of books or workshops dedicated to knowing the Asturian culture and tradition are some of the fun and entertaining activities that will be offered every Saturday in the City of Culture. There will also be workshops of Come alive !, the proposals of Vamos pequeñinos! for children from 3 to 6 years or the new sessions of Let's take root !, in which the maximum advantage will be taken of the organic garden of La Laboral. Tickets already on sale. Until the 20 in January you can enjoy a special winter promotion: when you buy the ticket to attend five workshops of Let's imagine! a locality will be given away for the show 'El viaje de Covaletti' or for 'A las 6 at the corner of the boulevard'. This promotion, at a price of 25 euros, is limited to the 20 first purchases and the workshop bonuses are excluded from it.